More and more borrowers today are looking for ways to finance their home purchase without making a full 20% down payment. As FHA continues to increase fees, many are turning to private mortgage insurance (PMI) combined with a conventional loan. 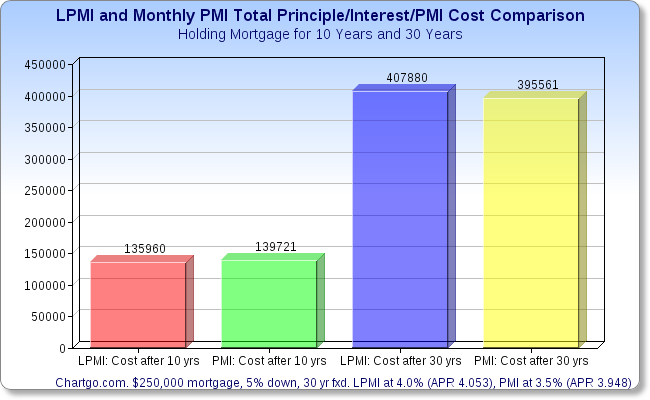 To the surprise of many homebuyers, there is more than one way to obtain PMI. One of those PMI alternatives is called Lender Paid Mortgage Insurance, or LPMI. Lender Paid Mortgage Insurance is a form of PMI that is paid for by the lender via a one-time fee, rather than by the borrower monthly. Some form of PMI is required whenever a borrower puts less than 20% down on a conventional loan. The term “Lender Paid Mortgage Insurance” is a bit misleading, however. The lender does not pay the borrower’s mortgage insurance premium out of the goodness of its heart. Rather, the lender raises the interest rate on the mortgage to generate enough profit to pay the mortgage insurance company the required one-time fee. The party who ends up paying the cost of LPMI is ultimately the borrower, since it’s the borrower’s interest rate that is increased. 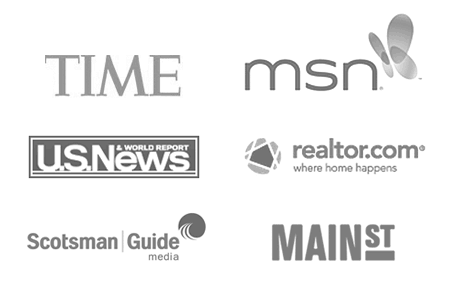 For this reason, LPMI is sometimes referred to as Single Premium mortgage insurance. The reason it is often called “lender paid” is that the borrower is not allowed to pay the one-time premium directly out of their own funds. The funds must come from the lender, or from another party, such as the builder or seller. Some lenders offer a PMI option where the borrower pays the one-time premium out of their own funds. This is known as either Borrower Paid Mortgage Insurance, BPMI, or Borrower Paid Single Premium mortgage insurance. If you want to buy out your own mortgage insurance to avoid the LPMI rate increase, ask your lender about their BPMI programs. What’s not readily apparent to homebuyers is that the higher the interest rate on your mortgage, the more profit is available to the lender. So, let’s imagine that you accept an interest rate on your mortgage that is 0.50% higher than market rates. The rate increase generates an extra $5000 in profit on that loan. Let’s also imagine that a PMI company agrees to accept a one-time payment of $5000 in lieu of receiving a monthly PMI payment from the borrower. The lender could opt to take that extra $5000 in profit and essentially prepay the PMI premium. The borrower ends up with a higher rate, but no monthly mortgage insurance fees. Is LPMI better than FHA? Federal Housing Administration (FHA) loans have been a great tool for homebuyers over the past few years. If not for FHA, many would be locked out of homeownership. However, FHA is increasing fees again as of April 1, 2013, to steady its troubled financial position. LPMI might become a more attractive option. It’s true that the interest rate on an LPMI loan would be higher than an FHA loan. But FHA has very high monthly mortgage insurance costs, and also an upfront fee of 1.75% of the loan amount. FHA mortgage insurance negates any savings from a lower interest rate. Still, FHA may be a better option for some homebuyers. FHA allows for as little as 3.5% down, compared to LMPI’s 5% down requirement. FHA also allows for more seller contributions toward closing costs. Leniency from FHA means a lot less out-of-pocket expense for FHA borrowers. In addition, borrowers can qualify for an FHA loan with a lower credit score. As shown in the chart below, each borrower would have to analyze their available funds, their monthly payment tolerance, and their credit rating to opt for LPMI or FHA. Which mortgage option comes out on top? Let’s look at an example of a $250,000 home purchase. LPMI seems to come out on top based strictly on monthly payment. But that’s not the whole story. LPMI has its advantages as well as disadvantages depending on other factors. As FHA costs increase, LPMI will become cheaper in comparison. Your interest rate remains higher through the life of the loan. With monthly PMI, you can cancel monthly PMI when your loan reaches 80% of the home’s value. Ask Yourself: How Long will I Keep this Mortgage? The main benefit to LPMI is simply lower monthly payments at the beginning of the mortgage, when you’re first starting out on your homeownership journey. It’s also nice to know that you won’t be seeing that pesky mortgage insurance payment on your statement each month for the first 7-10 years of your mortgage. It’s a great program for those who want a low monthly payment and don’t mind a slightly higher interest rate. Talk to your loan professional, and see if a loan with Lender Paid Mortgage Insurance is right for you. All PMI scenarios based on $250,000 purchase price and value, 5% down, 740 credit score, no HOA dues, and property in WA. 30 year fixed rate 1st mortgage with principle and interest payment. FHA scenario based on $250,000 purchase price and value, 680 credit score, 3.5% down, no HOA dues, and property in WA. Mortgage payments rounded to the nearest dollar. Rates based on real-time available rates as of 3/19/13. Next story I’m Pre-Approved. Should I Worry about Rates?